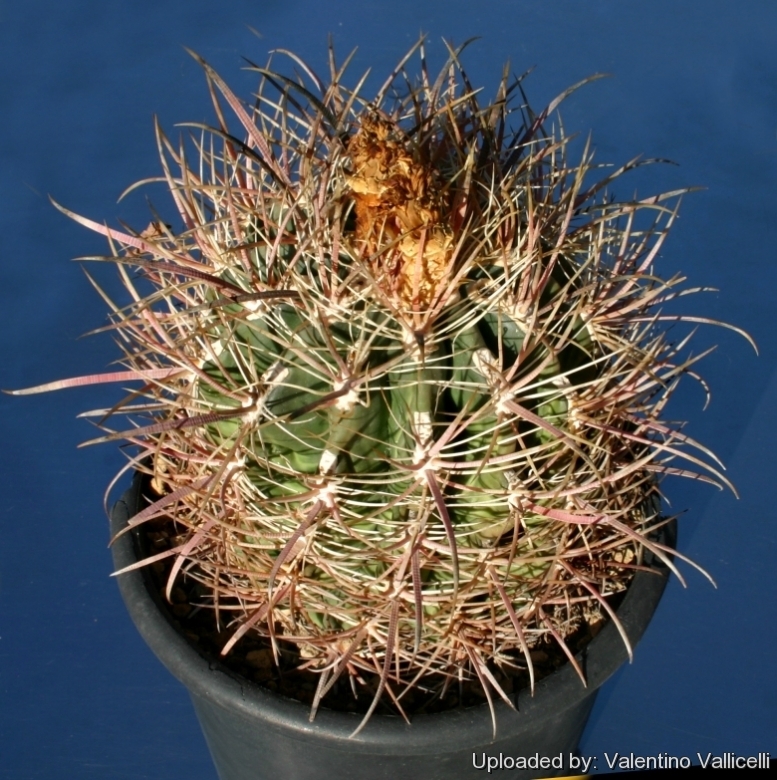 = Ferocactus cylindraceus var. hertrichii (Weinberg) hort. Description: The plant is usually unbranched forming a single column up to 2m tall and 30cm in diameter. The ribs are 2.5cm high and tuberculate. Spines: A large central spine and three auxiliary centrals form a crucifix shape, The primary central is 5 to 7cm, angles down and is slightly to moderately hooked, sometimes to 90 degrees. The other centrals are from 5 to 7.5 cm long. The centrals are noticeably annularly ridged and flattened with a flat upper surface and rounded lower surface. Spines can be very light grey to red and yellow but darken to black with age. 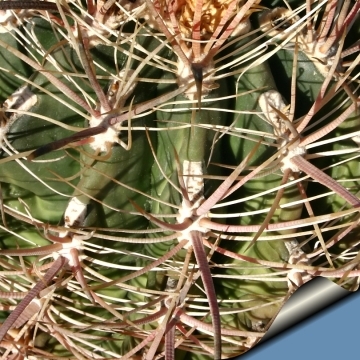 Cultivation and Propagation: Ferocactus acanthodes are summer-growing and pretty easy plants.